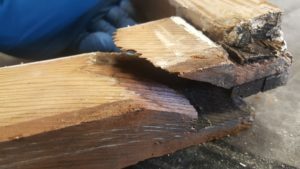 How to make wood window repairs. 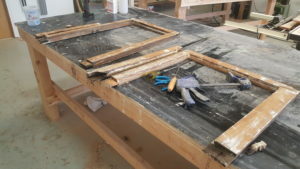 Historic wood windows are special compared to your average modern window in that they can be repaired. A sash contains four main pieces of a frame. 2 vertical pieces called the “Stile” and two horizontal pieces called the “Rails”. The stiles contain a female component called a mortise and the rails contain the male component called a Tenon. They are pinned together and not glued so they pins can be removed and the sash can be disassembled. We’ll run though this process in a series of photos to depict how wood window repairs are made on wood windows. 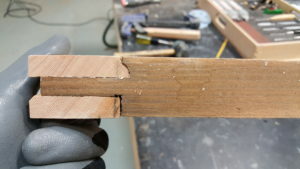 Interior Side of the broken mortise. 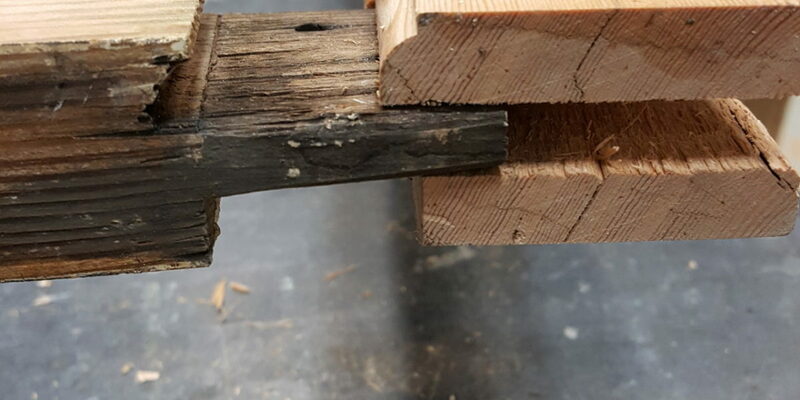 A screw driven into the wood helped speed degradation. 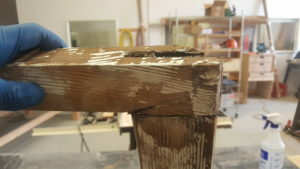 Exterior Side of broken Mortise. This mortise split along the wood grain. This is a rare and is related to the grain orientation and moisture introduction over a long period of time. Both sash have stiles removed and ready for the repair. The new stile being installed. 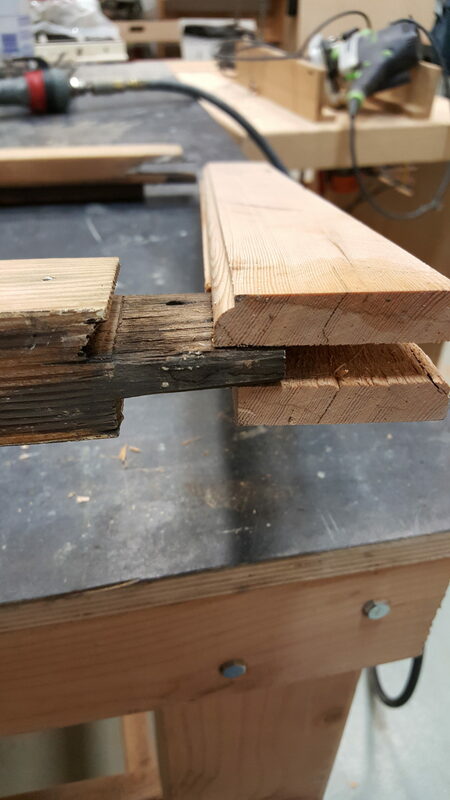 Here’s a view of the mortise and tenon fully mated. A stainless steel 1/4″ crown staple is used to fasten the joint. 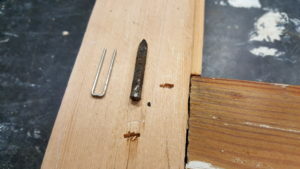 Depicted is the steel nail that was removed next to the stainless steel staple. In my opinion this is the only type of wood window repairs that should be made as it is guaranteed to last a long time. 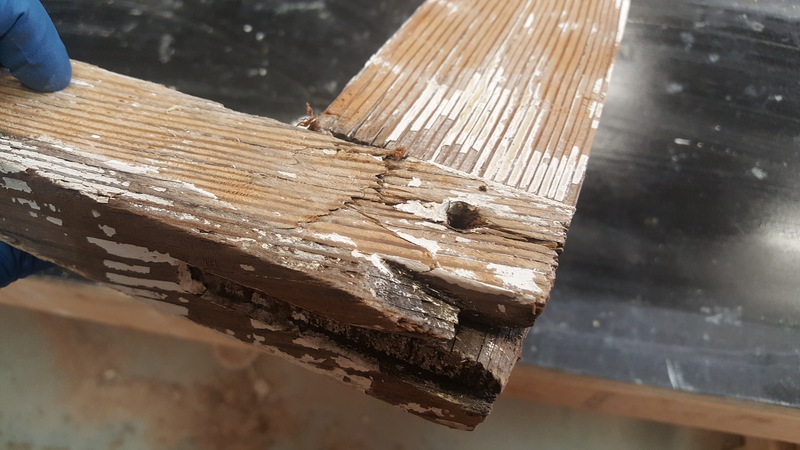 Epoxy’s are not sufficient and will deteriorate over time. These wood window repairs were made after 100 years and only needed to be made because of some neglect or an inadequate paint schedule. 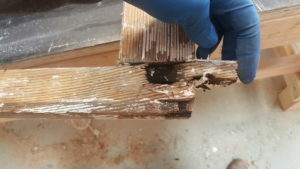 I do not think epoxy can withstand the constant use that windows endure. Thank you for reading. Please comment if you have any other questions and I would be happy to help!